Grammar checker, writing style, and spelling checker improvements come by way of a digital writing assistant that Microsoft calls Editor. Grammar and style proofing is accessed by clicking File > Options > Proofing and then clicking Writing Style and selecting Grammar & Style. The grammar tool now explains why a word or phrase has been flagged with a blue double line, along with suggestions for corrections. Writing style issues are flagged with a dotted gold underline that you right-click for explanation and suggestions. The improved spelling checker displays meanings for suggested alternatives to better guide you with corrections. 2. Click a correctly spelled word to replace the unknown word. Click Ignore All to remove the squiggly line from this and every occurrence of the spelling in the document. 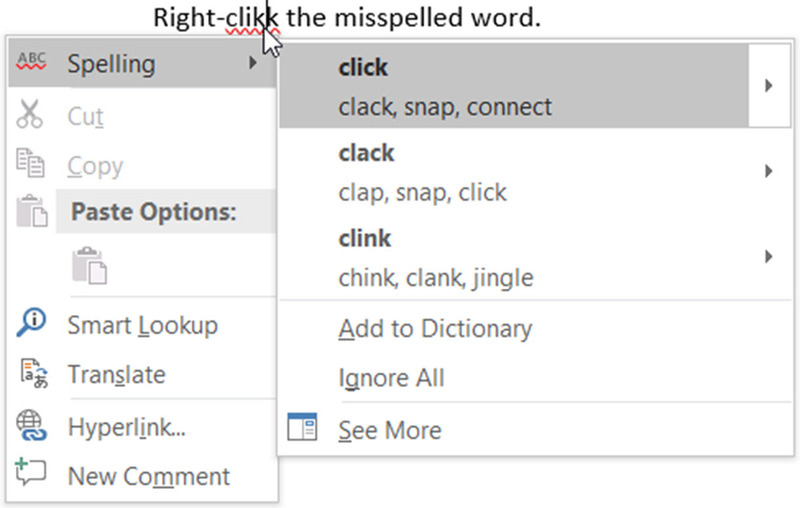 Click Add to Dictionary to remove the squiggly line and add the word to the dictionary file so that it will be recognized in all future Word documents. 2. Click a word or phrase to replace the flagged text. Click Ignore Once to remove the blue double line from this occurrence. 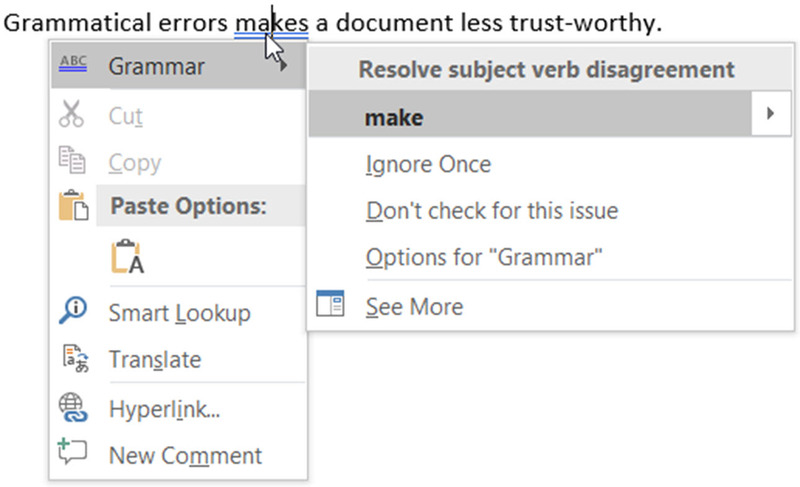 Click Options for “Grammar” to display the Grammar Settings dialog box. Another addition to recent software updates is the View > Side to Side command. Click this command to be able to scroll through your multi-page document like a stack of papers that gets shuffled from side to side. In this view, the only Zoom option available is to display your document as tiles. The last update I’ll mention is the background removal tool which has been improved for easier background removal in pictures.